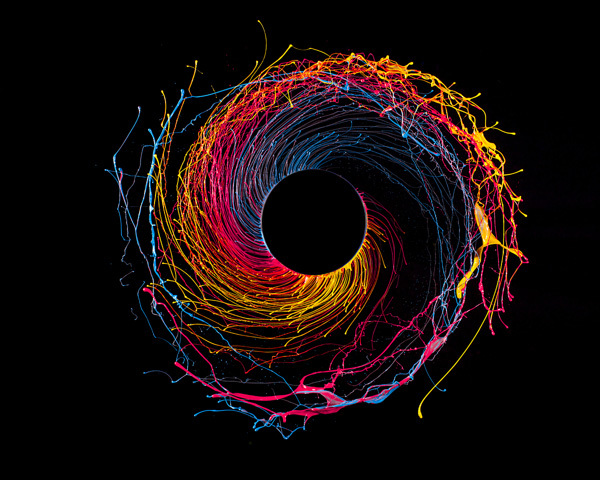 A series of images using centrifugal force to model the paint. 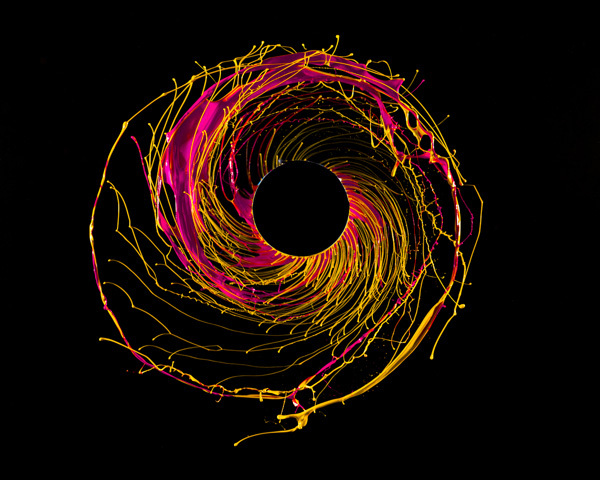 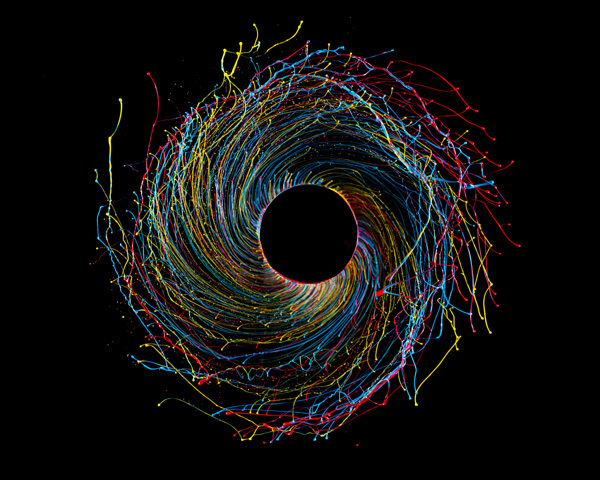 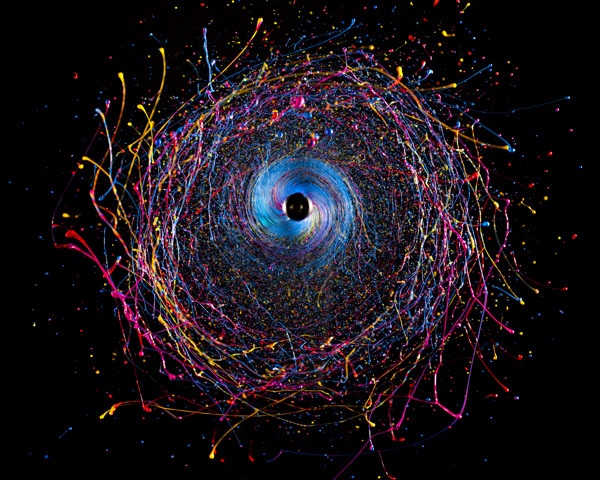 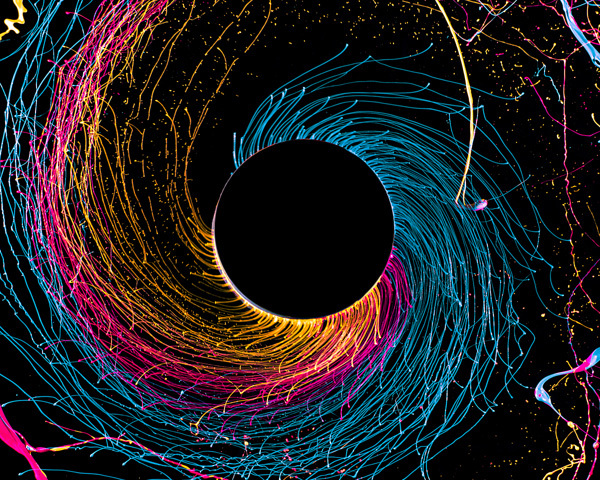 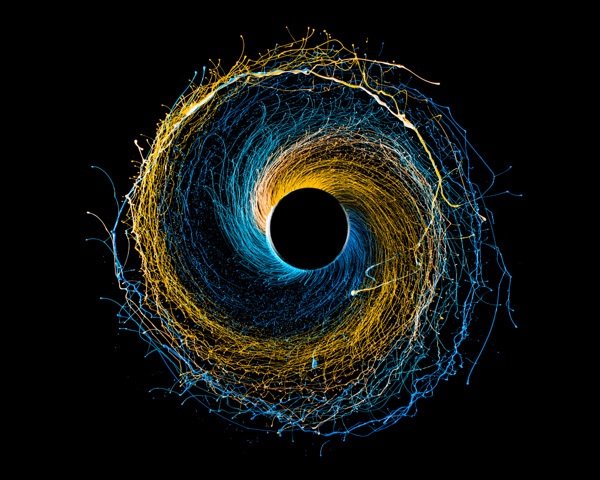 "Black Hole" is a series of images, which shows paint modeled by centrifugal force. 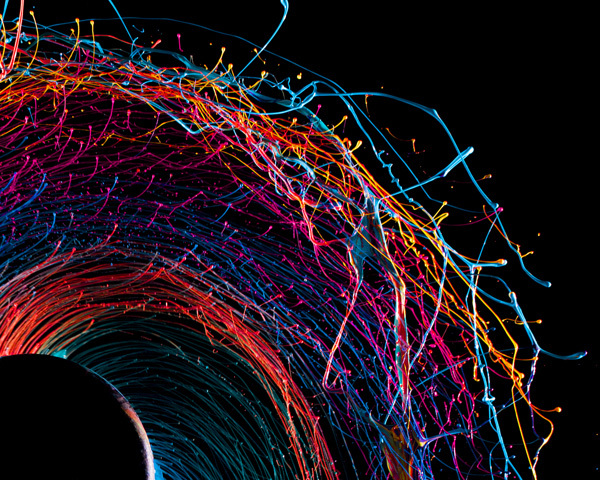 The setup is very simple: Various shades of acrylic paint are dripped onto a metallic rod, which is connected to a drill. 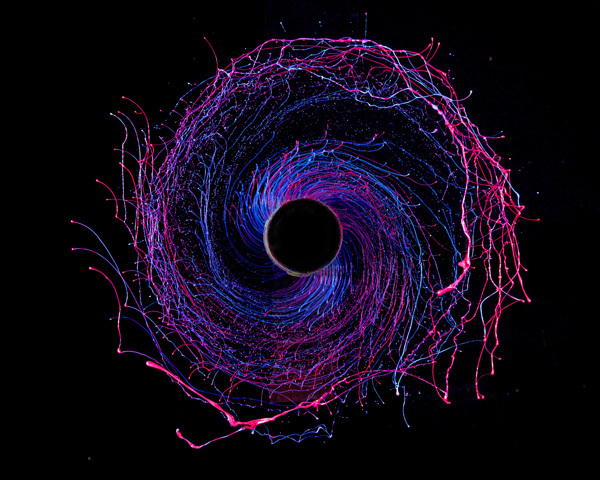 When switched on, the paint starts to move away from the rod due to the centrifugal force, creating these amazing looking structures.